LEAVE THE CITY FOR THE LEAVES! Open and airy contemporary home w/ lots of windows & wonderful natural light! Quiet community conveniently located close to the Forum. Spacious UPDATED eat-in kitchen w/ White Granite and Tile back slpash opens to family room w/ stone fireplace. Bedroom & updated full bathroom on main level. Spacious upstairs master suite with vaulted ceilings, updated bath w/ granite double vanity, garden tub & sep shower. 2 other bedrooms upstairs & updated bath. Finished terrace level w/ rec room, exercise room, bedroom & full bath. 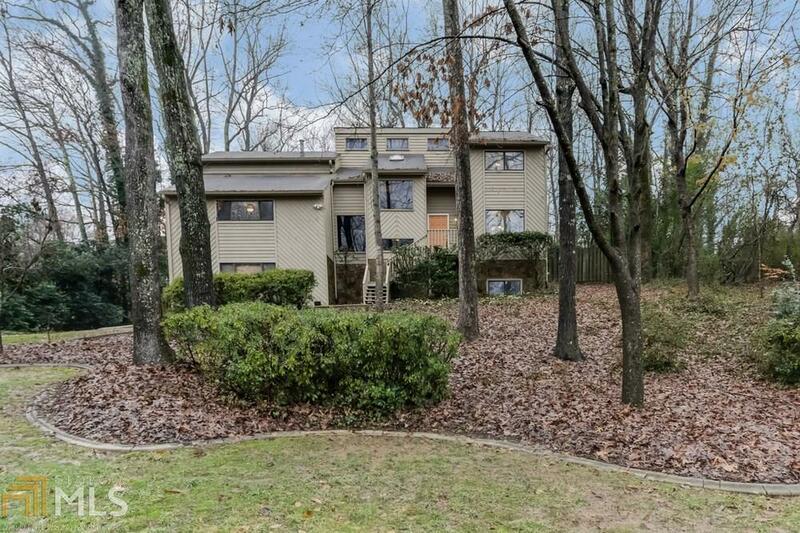 Screened-in deck & open air deck w/ gas grill overlook large & private fenced backyard.